Oh man, I just had to say that because it’s one of my favourite quotes. 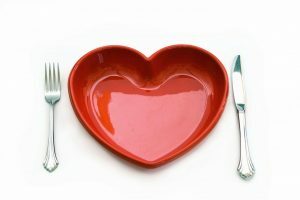 I wanted to share 25 heart healthy foods to keep your heart in glowing conditions! Phytoestrogensare – Often found in plants like flaxseed with the ability to reduce blood clots, irregular heartbeats and strokes, as well as lower bad cholesterol, according to studies. Phytosterols – It’s in nuts and seeds and bear a crazy resemblance to cholesterol, and seem to lower people’s blood cholesterol levels. 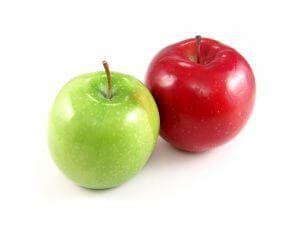 Carotenoids – Found in lots of rainbow coloured fruits and vegetables, they are antioxidants that protects your heart. Alpha-carotene, beta-carotene, lutein, and lycopene are all a part of the happy carotenoids family. Polyphenols – Found in many berries, they are also antioxidants that protect your blood vessels, reduce bad cholesterol and lower blood pressure. Atechins, flavonones, flavonols, isoflavones, reservatrol, and anthocyanin are all part of polyphenols. Omega 3 fatty acids – Found in fish, particularly salmon, walnuts and flaxseeds, these are brilliant fatty acids which reduce the risk of blood clots and heart attacks, lowers blood pressure, and protects plaque buildup in the arteries. B-complex vitamins – Lots of them can protect you against artery hardening and blood clots. 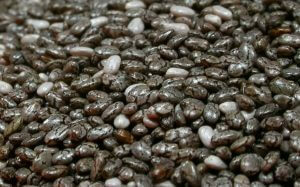 Fibre-rich foods – Can also help lower cholesterol levels. They don’t say: An apple a day keeps the doctor away for nothing! studies showed that apples could lower cholesterol, the stuff that hardens your arteries and makes it risky for heart attacks. 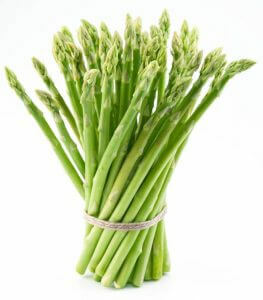 Asparagus has amazing anti-inflammatory and antioxidants, as well as B-vitamins that really reduces heart disease. Not only that, we’ve got a whole whopping 3 grams of fiber per cup! Now that’s amazing, isn’t it? If you want to add asparagus in someone’s diet if they usually don’t like it, chop it up in tiny pieces. Avocados may look fatty but they’re the good fats! 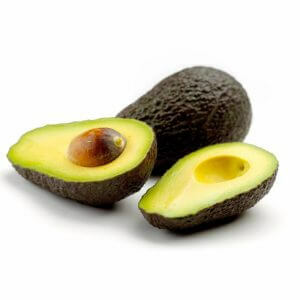 It has lots of monounsaturated fat which can help lower bad cholesterol. 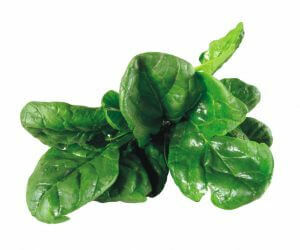 They also help absorb other great nutrients, such as carotenoids. Think of them like a good sponge that does a lot of good deeds! 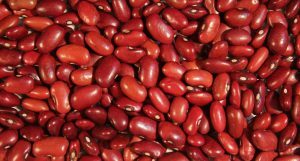 Kidney beans in particular have a lot of B-complex vitamins, as well as omega 3 fiber, which are all brilliant nutrients for your heart. This includes blueberries, raspberries, blackberries and strawberries. 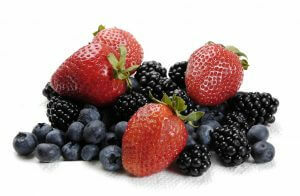 They are all full of amazing antioxidants and anti-inflammatories. Eat them! 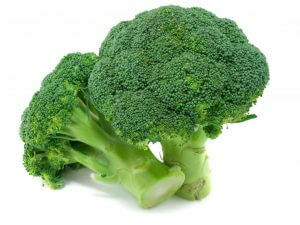 Broccoli cuts down heart disease by its anti-inflammatories in broccoli concentrates which helps with plaque buildup. 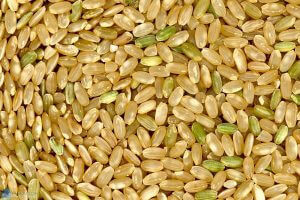 Brown rice has plenty of B vitamins, as well as fibre and magnesium, which are brilliant for the heart. It’s much better eating brown rice than white rice. Perhaps curing heart disease is only a carrot away, as carrots have lots of beta-carotene and fibre which can stop your heart from narrowing. Chia seeds have a high amount of omega 3 fatty acids and we all know how important that is to our health! It helps reduce blood pressure and support heart health. Dark chocolates have flavonoids which help repair damage created by those toxic beasts. 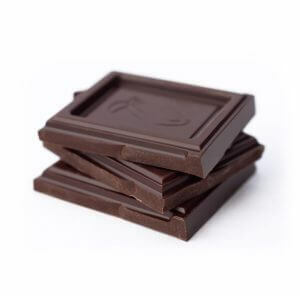 Antioxidants are also found in dark chocolates that can lower bad cholesterol. 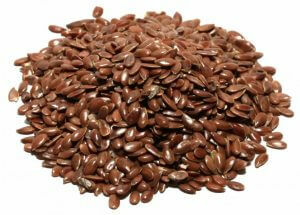 Flaxseeds is another one of those amazing plants with Omega 3 which is the meaning of heart health, as well as fibre. Studies say that that garlic can take down this thing called angiotensin, that can wrap blood vessels tightly. Not only that, garlic can slow down plaque in the heart. 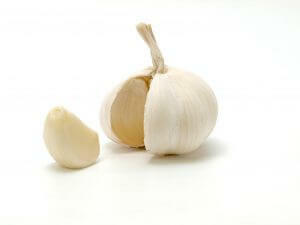 To make the best out of garlic, eat it raw or cut it into small pieces and leave it for half an hour before cooking. Grapes can significantly lower heart disease by its amazing rich amount of antioxidants, which includes resveratrol and flavonoids. 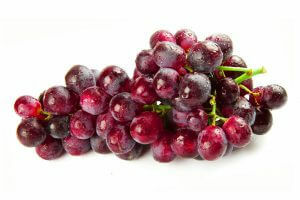 Often, they are found on grape skin, seeds and leaves, rather than the actual grape itself. Also, darker grapes such as red or black ones contain more antioxidants. Green tea improves blood vessel function by a great deal, as well as help cells which play a roll in clogging arteries function better. 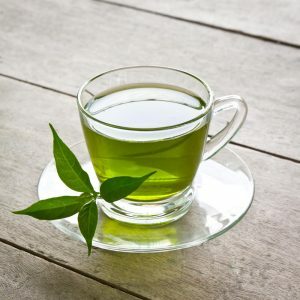 Green tea has powerful antioxidants called flavonoids, the same type found in red grapes and dark chocolate. 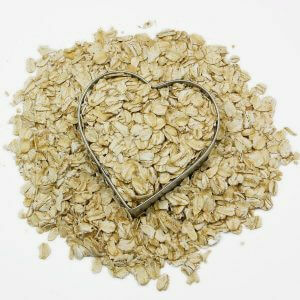 Oatmeal has lots of omega 3, fiber and potassium, which can reduce bad cholesterol. They say that steel-cut oats is the best, so be sure to have some of them! They go very well with fruits. 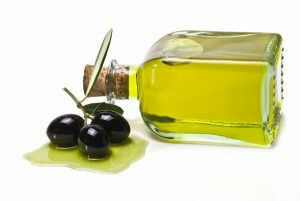 They say that two tablespoons of olive oil each day can reduce heart disease. Olive oil is like avocados, also have a lot of monounsaturated fats which can reduce bad cholesterol. 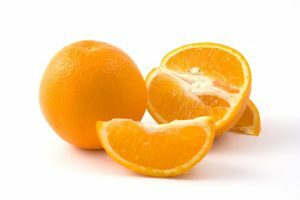 Oranges have lots of fibre, which you can imagine it like a sponge, soaking up the cholsterol in food. What’s even more amazing is new studies showed that citrus pectin, that soluble fibre from the fruit rinds can even neutralise galectin-3, something that causes scarring of the heart tissue, which can lead to congestive heart failure. 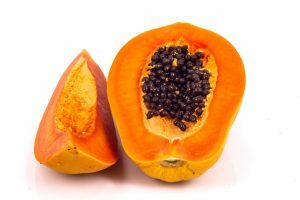 They call papayas as the king of fruits, The huge amount of Vitamin C and E, with beta-carotene and other antioxidants makes our hearts fall in LOVE with this fruit. Eating papaya can increase blood flow to your heart, and reducing risks of heart diseases. 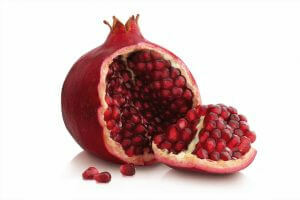 Pomegranate juice has lots of unique antioxidants which stopped plaque progression, and even reversed the buildup of plaque when people drank a big glass of it everyday for a year. 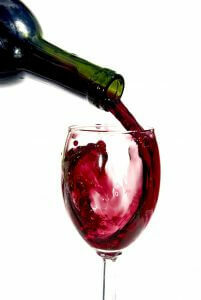 Red wine, much like red grapes, have resveratrol, which can keep a heart healthy and young. However, because of the alcohol content, it’s best to drink only a small glass each day. 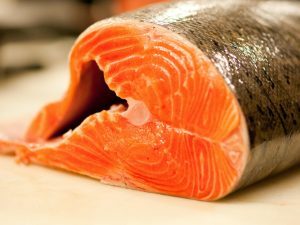 Salmon contains some of the highest amounts of Omega 3 fatty acids, which I’ve explained how that benefits the heart. Spinach is packed with nutrients such as lutein (carotenoid), iron, B-complex vitamins, folate, potassium, fibre, calcium and magnesium. Needless to say, it’s very heart healthy! 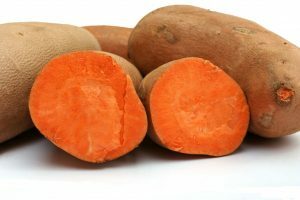 Sweet potatoes are considered a power food. 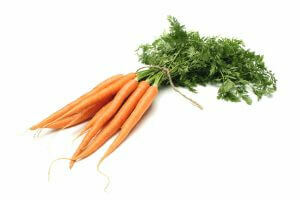 It has lots of beta-carotene, same stuff in the carrots that makes it so healthy! 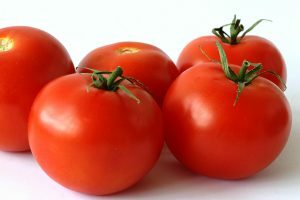 Tomatoes are also rich in carotenoids (you can probably see that showing in the bright red colour) that fights oxidative stress, something bad that causes heart diseases. It also has anti-inflammatories, anti-platlet compounds that fight blood clots and the ability to increase good cholesterol. Walnuts have a high amount of Omega 3, they also seem to have better quality antioxidants than other nuts, which protects free radical damage that often can lead to heart disease. Other heart healthy foods I didn’t get to include: Cayenne pepper, almonds, kale, lentils, tuna, soy, red capsicums (bell peppers).